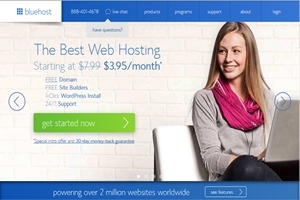 Overview: A Linux based web host company who offers one package only for $8/month. The best part is Blue Host Hosting keeps the entire process of hosting extremely simple. Bottom Line: BlueHost is a great place for those just starting out with a personal or small business web site and who have small to medium traffic and want things to remain simple. Especially for budding email marketers. Click here to visit BlueHost now!